Touring homes that have just hit the market allows real estate brokers to have the first look and get a jump on properties that might suit their client’s needs. In this market, homes have to be TOP NOTCH – clean as a whistle, updated, edited of personal photos, great lighting, fresh flowers and the outside needs to be just as inviting as the interior! So as I’m touring homes and using my keen designer eye – I wanted to start featuring listings that are perfect for anyone who’s downsizing! Ready for the first one? Let’s go! 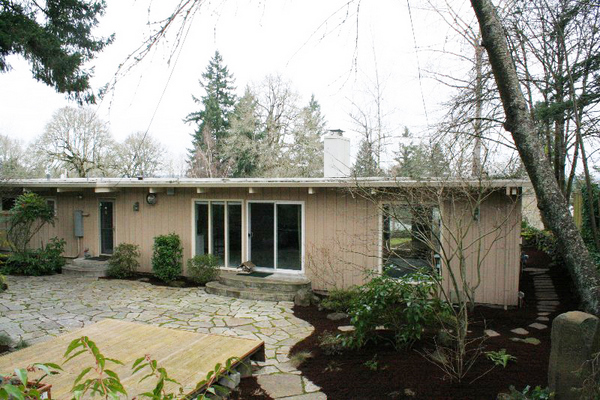 Check out this Mid-century Modern home in West Linn, OR with lovely natural setting. 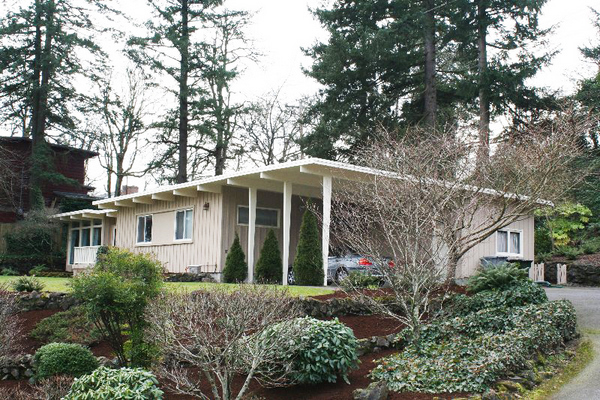 A nice, modest footprint at 1503 sq ft, with 2 bedrooms and 1 bath. This lot is large and private. Gotta love that! 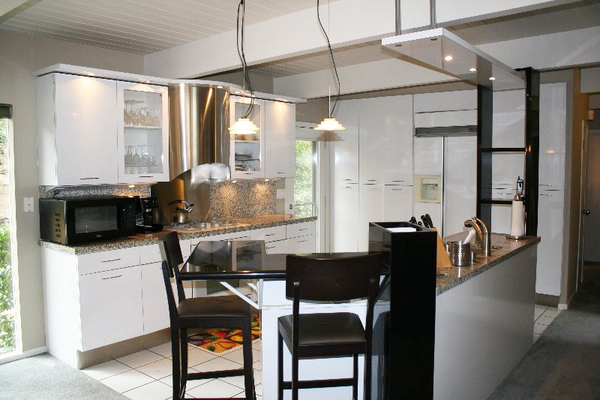 Great modern kitchen with open floor plan – love the built-in refrigerator with vertical storage! 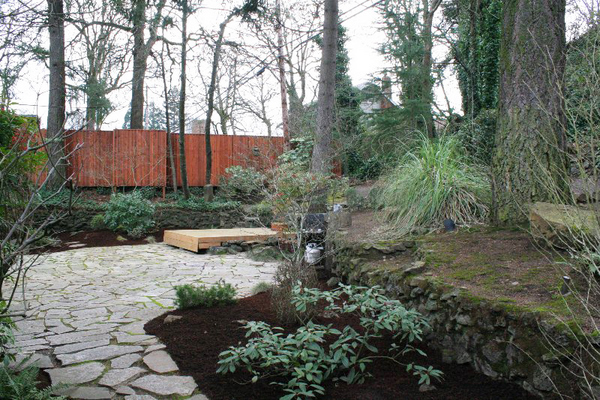 The large slate patio out back has a zen like quality sets a great foundation for an outdoor retreat. Exploring the garden reveals meandering trails and a beautiful water feature complete with pond and waterfall. 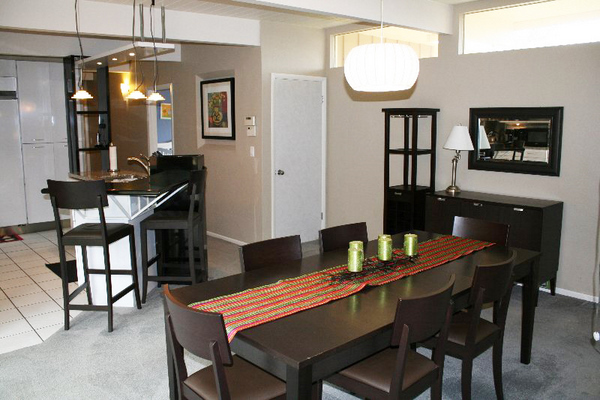 A little oasis but still close enough to town and fabulous amenities. At just over 1500 sq ft. this peaceful home would be perfect for someone looking to downsize their space and rightsize their lifestyle! Look for another featured Downsized Dwellings next week! If you would like more information on this listing, don’t hesitate to contact me.